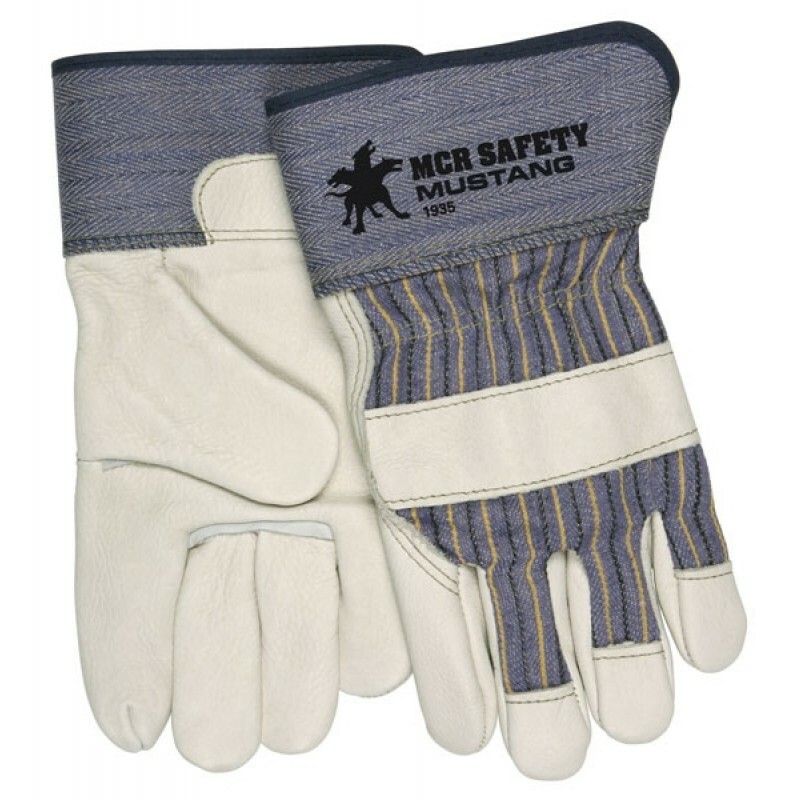 Combining durability with comfort, this premium cow grain leather work glove will endure hard work and make sure you do as well. The premium-grain leather palm lets you feel what you’re holding without compromising protection. For a great work glove that offers comfort - the "Mustang" is it. 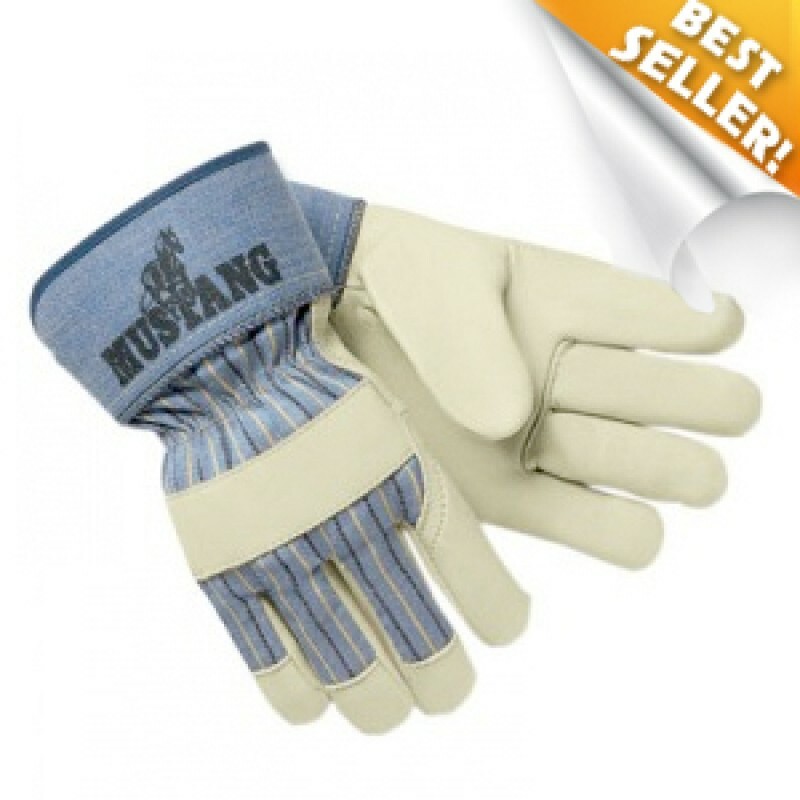 It features premium cow grain leather in a full feature Gunn pattern. The cuff is 2 1/2". Ideal for many applications demanding both durability and dexterity, such as farming industry, construction, casting, steel and iron work, municipalities and utilities.